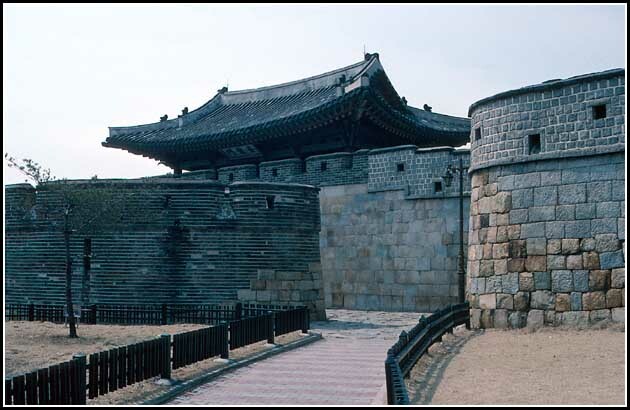 The massive wall around the ancient fortress city of Suwon is well worth a visit. Here some images from a trip around the wall in March 1996. 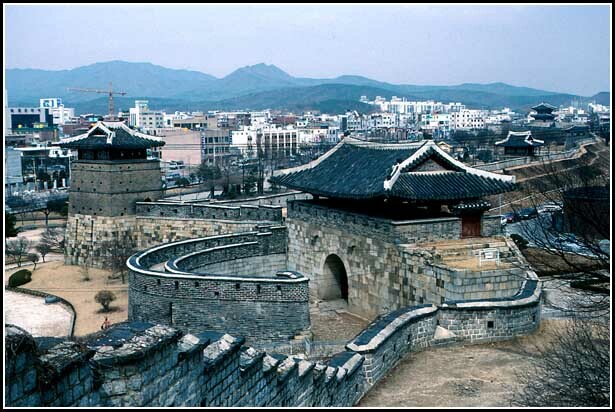 Here a look along the wall towards the West Gate with the modern city behind. 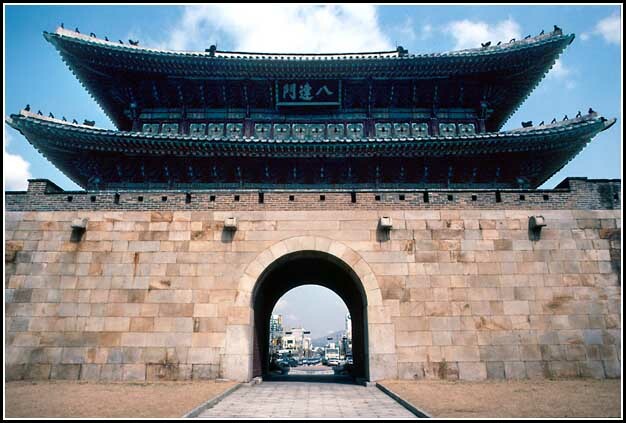 Originally the city of Suwon was inside the wall, but as you can see on this picture, most of Suwon is now outside. 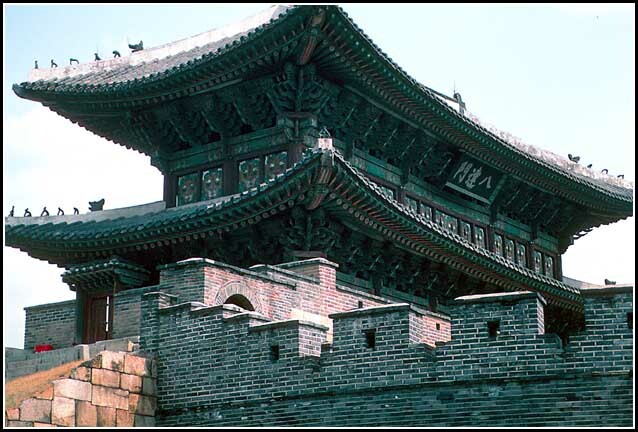 In the background to the right you can see the tower of the more impressive North Gate. He a front view of the massive signal tower. Signals were sent from the "chimneys" on the top where smoke was used for signalling during day time, while fire was used during the dark hours. Depending on the situation, various signals could be sent by using only one chimney,- or all five -, or any other combination. 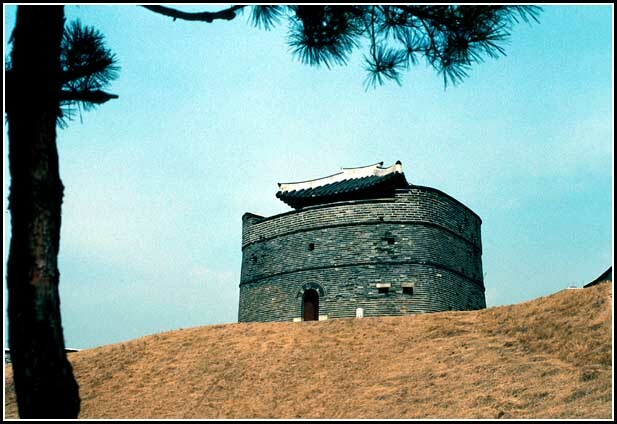 This tower is the most impressive of the three lookout towers around the wall. 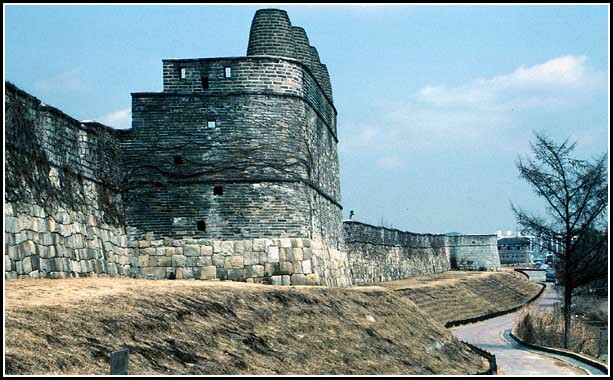 This open and much lighter structure is the main Command Post of the fortress. 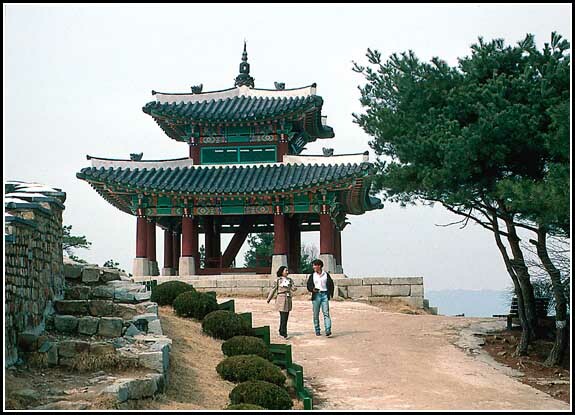 It is placed very near the top of Paltansan mountain, - 143 m above sea level. From here the Commanding Officer had a great view over the entire fortress. 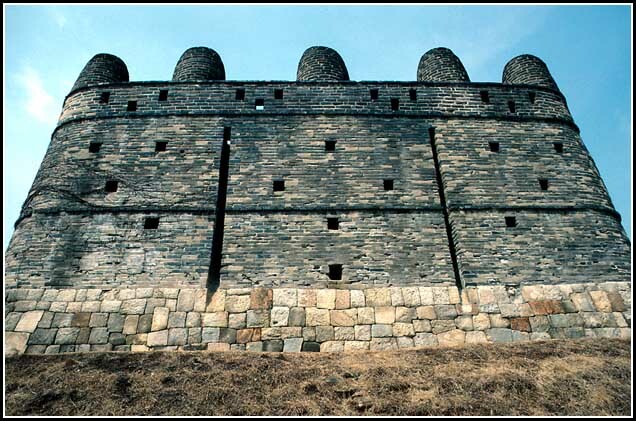 Back to "FORTRESSES & WALLS"